In 1966 Gene Rodenberry had an idea for a “wagon train to the stars.” In the midst of the ever popular western, Gene wanted to offer up something completely different. The idea that the people of Earth had put aside their differences and now worked towards the betterment of all mankind rather than for personal gain. Okay, so it takes place in the 23rd century and they wear kooky outfits and they can zip around the universe in the blink of an eye. And yes, the Captain talks funny, we can all see the strings and they always kill the guy in the red shirt. Those are just some of the things that made “Star Trek” what it is today. Storylines about morality, racism, oppression and friendship underpinned the whole series. Good characters, diverse characters, working together in a time before Martin Luther King, Jr inspired us all with a dream; Gene Rodenberry had a vision. “Star Trek” has come a long way since 1966. Ten movies, four different series covering the gamut of the Star Trek time lines and a fan-base that sees made up technical manuals as scripture. For 43 years Star Trek has inspired us to better ourselves and come up with some very cool toys along the way. Then Paramount starting throwing around that “prequel” word. I though, “oh great, another cultural icon is about to be destroyed with a terrible movie”. Let’s face it, a lot of the classic TV shows that have made it into movie form lately have been horrible. Then Paramount starting throwing around a name, JJ Abrams. That was the point at which I said, “oh, that is an entirely different proposition.” Most people don’t realize that they already know movies by JJ, they just don’t know that he did them. He co-produced and wrote 1991’s Regarding Henry, executive produced and wrote 1992’s Forever Young, wrote the screenplay for 1998’s blockbuster Armageddon, and directed & wrote Mission Impossible 3 to name a few. He is also responsible for creating hit TV shows like Felicty, Alias, Lost and Fringe. Just based on how he reinvented the monster movie with the Blair Witch meets Godzilla roller coaster of Cloverfield, I felt confident that he could breathe new life into this iconic franchise. Let me say now I am not only a sci-fi fan but I am a Trekker. I’m a Trekker because apparently Trekkies have no life, but I say more power to them anyway. I am a fan of all things Star Trek. I have watched the original series and have my favorite episodes, “The Doomsday Machine” or “The City on the Edge of Forever” immediately come to mind. I have watched ALL of the Star Trek movies many times and am a firm believer in the odd is not so good, even is excellent myth that plaques the first ten movies (Star Trek III should be titled “The Search for Plot” and V should be called “The Search for God”). Believe me when I say that I love II, IV, VI, VIII and X, they are the best of the canon of Star Trek movies. The others fall on various levels of “liking” for me. Then here we are, it’s a prequel, it’s an odd number (11) and frankly, it blew my socks off. This movie removed all of my apprehensions and fears within the first 15 minutes. Within the first 30 minutes I was sold. By the end I wanted to go on that ride again. 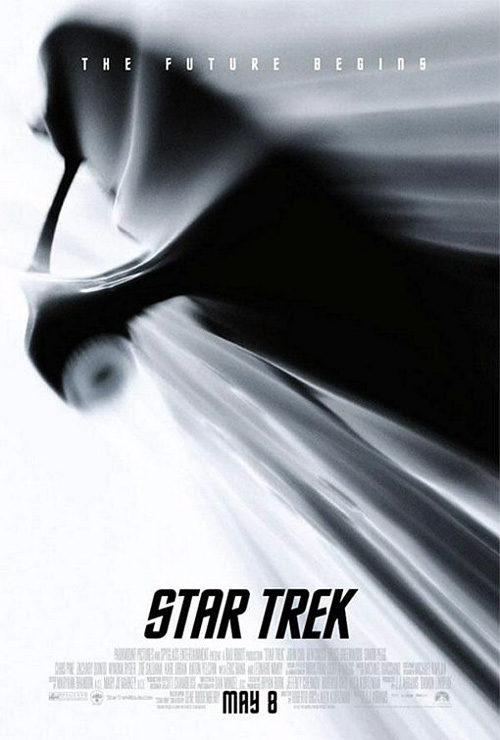 This movie embodies everything Star Trek fans have loved about Star Trek for the last 43 years. Excellent characters played by outstanding actors, an excellent plot, epic space battles and heart. I mentioned that last one because I think that is what is lacking in a lot of modern movies, the part that gets me to care about the people on that screen beyond their superficial appearances. It’s got bits for all kinds of movie goers, action, adventure, romance, comedy, and a dive into the amazing depths of science-fiction, it’s all there and it is all good, even if you aren’t a Star Trek fan. If you are a fan, there is plenty for you, too. Like an answer to one of my favorite plot points from Star Trek II, you’ll find out why Kirk calls McCoy “Bones”, or why Spock is half human and how he deals with that and many others that I don’t want to give away here. The new old Enterprise is amazing and internally feels more like a naval vessel in space (tour a Navy ship once and you will see what I mean). The whole movie is just epic and I think it takes a filmmaker like JJ Abrams and his team to pull it off. If you haven’t seen it, go see it, this is one that has to be experienced on the big screen. Live long, and prosper. Next Next post: Why so “busy”?